There are many benefits for a brand owner when they take the time to perform a comprehensive trademark search before filing a trademark application. Further, the benefits of trademark registration in the United States for anyone doing business in the U.S. are enumerable. By registering a trademark with the Trademark Office you increase the odds that your business brand will be protected, you legally discourage others from using your trademarks, and you increase your options in the event of trademark infringement. In addition to these benefits, trademark registration makes it known to the public that your brand name cannot be used by any other party and it prevents another company from claiming ignorance if they infringe upon your trademark. You can also use your trademark registration in the U.S. as a foundation to apply for a trademark in another country. Trademark registration also enters your brand name into trademark searches. If another company tries to register with your brand name, the United States Patent and Trademark Office will likely deny the application unless there is a good reason not to do so. Another benefit of trademark registration is the solutions you can tap into in the event of trademark infringement such as the right to sue in federal court. You can also recover three times the amount in damages including attorney fees if another company infringes on your trademark. 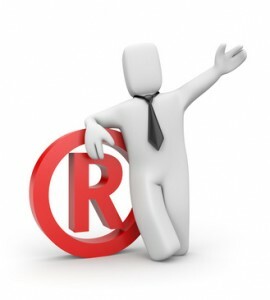 Once you have a registration, the USPTO allows you to affix the registered trademark symbol “®” next to your trademark. This builds trust and goodwill among your existing customer base, and helps you to attract new customers. Oftentimes when customers are looking to purchase a product or service, they choose the product or service with a familiar or well known brand. Why? Because they think it’s reliable, because they remember the brand components, and because they’ve been indelibly imprinted on their brains. When it comes down to making a choice between choosing a business with a trademark symbol next to their brand name and a business that does not, they will naturally choose the company that took the time to register their trademark. All of these benefits are important. However, be very clear that the most important step you can take in protecting your trademark is to perform (or hire someone) a thorough comprehensive trademark search. If you bypass this most crucial step, you risk being challenged by a prior user for likelihood of confusion or at the worst, trademark infringement. Trademark. Branding. Why its important?